Successful trade show marketing is about developing a media plan that aligns with and capitalizes on attendee behaviors in the market to accomplish a brand’s marketing goals. 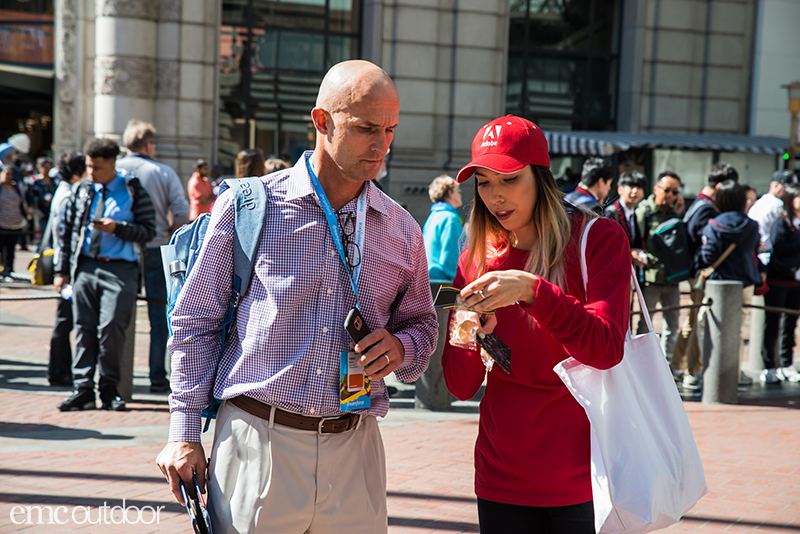 At a trade show, the focus of the attendees and exhibitors is the convention, but they also spend time outside of the convention center and beyond their hotel. Since every city has its unique attractions and ways to get to those attractions, an effective market strategy must be equally unique and specific for reaching those attendees. At EMC Outdoor we have been providing trade show marketing solutions to our clients for over 25 years. In that time, we have come to understand the major convention markets around the country and the behaviors of the attendees that descend upon those markets. Our boots-on-the-ground mentality has afforded us a deep understanding of how industry members—essentially, tourists during their time in the market—arrive and interact with a new city during their stay. We have attended events of all sizes and types of industry to better understand where attendees go, what they do, how they get there, and how their behaviors are unique to each destination. Over the years, our team has explored and analyzed each major market with the attendee’s perspective in mind, traveled into the markets by plane, train and automobile, walked airport concourses and baggage claims (even when we didn’t check a bag! ), and took shuttles, taxis and Ubers. We’ve walked the convention centers, central business districts, and hotels. We’ve used pedicabs, trolleys, segways. You name it, we’ve done it—all to better understand audiences and how to position media to target them. Getting There: How do attendees travel to the market? 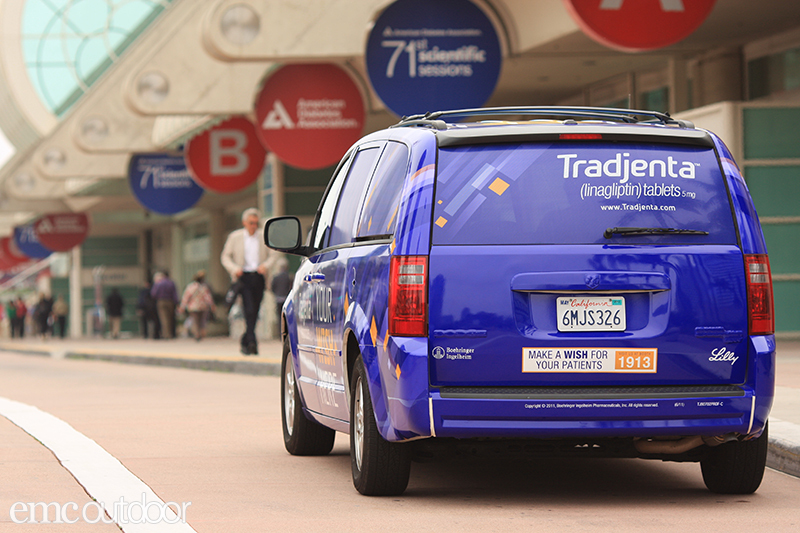 Each market around the country has different travel methods that attendees use to get there. In most cases, attendees are likely to fly into market, especially in cities with major airport hubs, like Chicago and Atlanta. Another contributing factor to air travel would be a high international population at the trade show where attendees realistically only have the option of air travel. In other cases, however, it’s advisable to consider those travelling by commuter train or even driving into the market. Trade shows and conventions that take place in cities in the mid-Atlantic region often see a higher population of travelers using Amtrak as a more easily accessible and less expensive than flying. There are valuable and often overlooked opportunities to establish a first touchpoint with attendees as they are travelling into the market. Each travel mode offers a different passenger experience so it’s important to consider what media they see as they utilize each mode. For instance, if you know your audience is flying into market, you can implement airport advertising and centralize your media in a single place, such as a “Welcome” message placed along an airport walkway, escalator or baggage claim. Alternatively, a good way to reach passengers travelling by train might be strategically placed interior wall cards, posters or train car wraps. Regardless of the method, the best approach is to disperse advertising to provide repeated messaging during their trip (a good rule of thumb for advertising!). 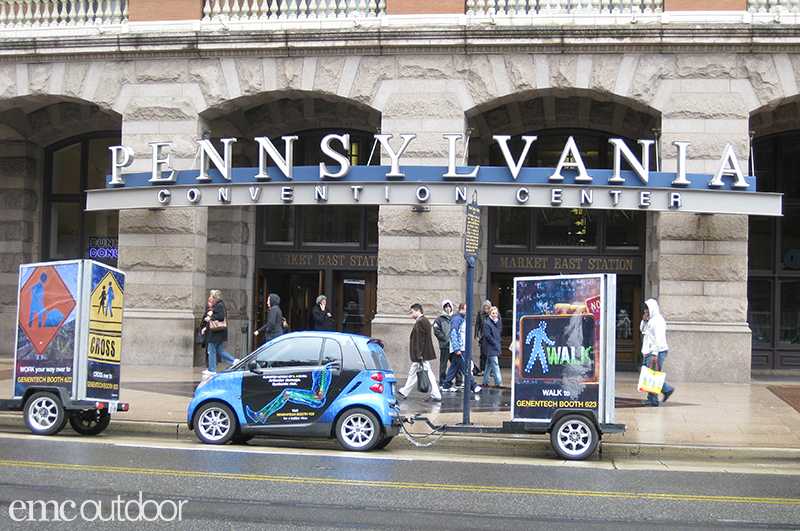 Getting Around: How do attendees move around in the market? The different markets around the country have their own unique and best methods for getting attendees where they need to go. In San Diego, the hotels are close to the convention center and attendees typically opt to move around on foot. (The year-round mild weather makes walking a pretty easy option, too!) Attendees in Chicago are likely to take a taxi or shuttle from their stay in the Loop or River North to McCormick. Slightly more obscure, Orlando has wonderful classic trolleys that run up and down International Drive and serve as an easy option for travel to and from the trade show each day. Getting Out & About: What do attendees do in the market? Despite the attendee experience being focused on the trade show and activities tied to the convention center, it is also necessary to consider what the attendee may be doing after-hours. Convention markets offer a sort of mini vacation to attendees when their day is complete—a world of restaurants, bars, museums, venues, nightlife and other experiences await. In New Orleans, everyone makes a stop in the French Quarter for a beignet. Visitors to San Diego go to the Gaslamp District as the main attraction. In Chicago, the attractions are more spread out across downtown, and include the parks and museums. Attendees in Philadelphia are most likely to visit restaurant row, Old City, or the Art Museum. As was the case with travel to and within the market, reaching attendees who are ready to lose their jackets and loosen their ties after show hours is equally important. Consider some clever ways of marketing to these groups while they are out and about. An easy to implement option might be to purchase advertising space where they’ll be—posters and table-top cards in a restaurant, for example. A more high-impact option might be a takeover or re-skin of a popular event space, like reserving a section of a museum, zoo or amusement park for event attendees. It’s important to remember that highest impression media in a market may not always be best for a trade show. 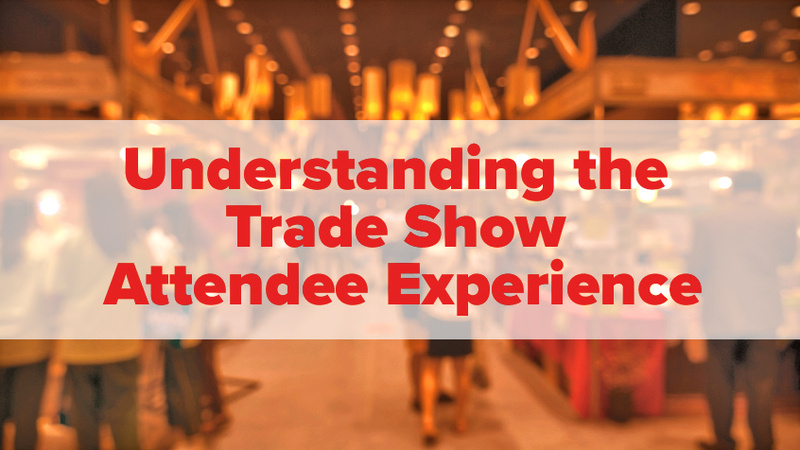 Thinking critically about each step of the trade show attendee experience will allow your brand message to reach your desired audience. Targeting opportunities are available through the entirety of the attendee journey, not limited to a trade show floor or convention center, and vary as much as the cities themselves. The EMC team has attended an average of 15 trade shows a year for the last 25 years in more than 30 markets. 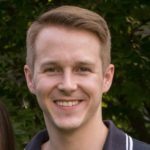 We have done the research and learned what unique media makes sense for your attendees. If you’re interested in breaking into a new market or maximizes your spend in an existing one, ask about the research!